A lot of our friends now have families of their own and sometimes it's tricky to get everyone together for a night out so we thought, why not organise a day out instead! 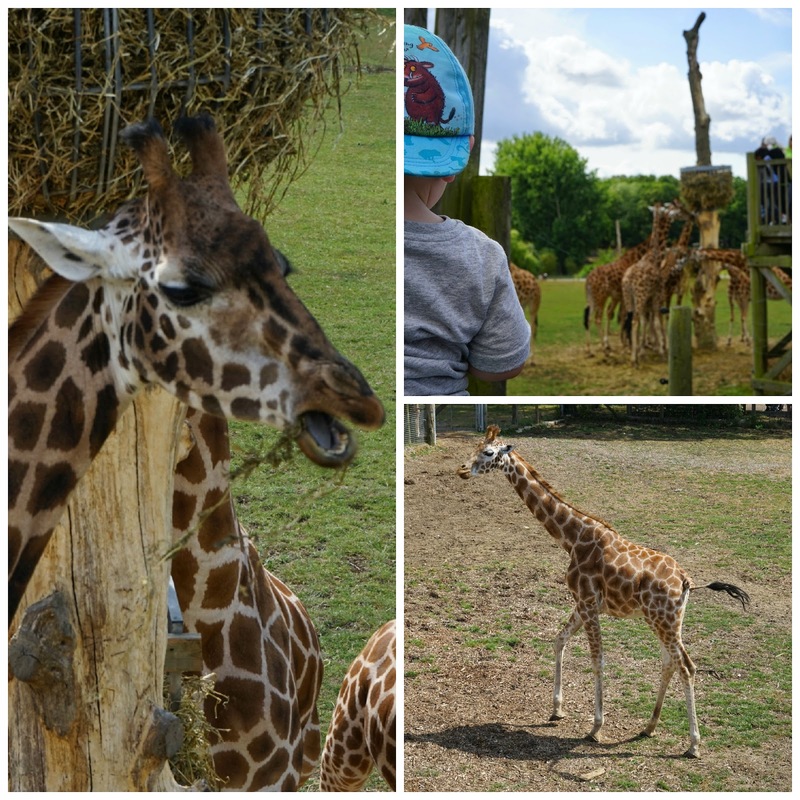 Marwell was an obvious choice - it's an hours drive from Poole, plus we knew that there would be something for everyone to enjoy. Marwell Wildlife (formally known as Marwell Zoological) is a 140 acre park situated near Winchester in our neighbouring county of Hampshire. We have visited several times with Elliot and he loves seeing all the animals up close. We all arrived just after 10am and although it is peak season (and a weekend! ), the park didn't feel overly crowded. Our first stop was the Penguin Cove which is one of my favourites. Marwell is home to a colony of Humboldt penguins and it's great fun watching them swimming around and preening themselves in the sunshine. You can even see them swimming underwater and Elliot enjoyed peering through the glass waiting for a penguin to swim on by! The flamingos are situated near the penguins and surprisingly, this is one of Elliot's favourite animal encounters - he loves watching them and tries to stand on one leg like they do! Catching a glimpse of the giraffes in the distance, we made our way towards the Cheetah's enclosure which takes you along a wooden walkway which leads you to an undercover viewing platform. I think the cheetah's must have been snoozing somewhere shady because we didn't spot any! Something we did spot was a dinosaur!! 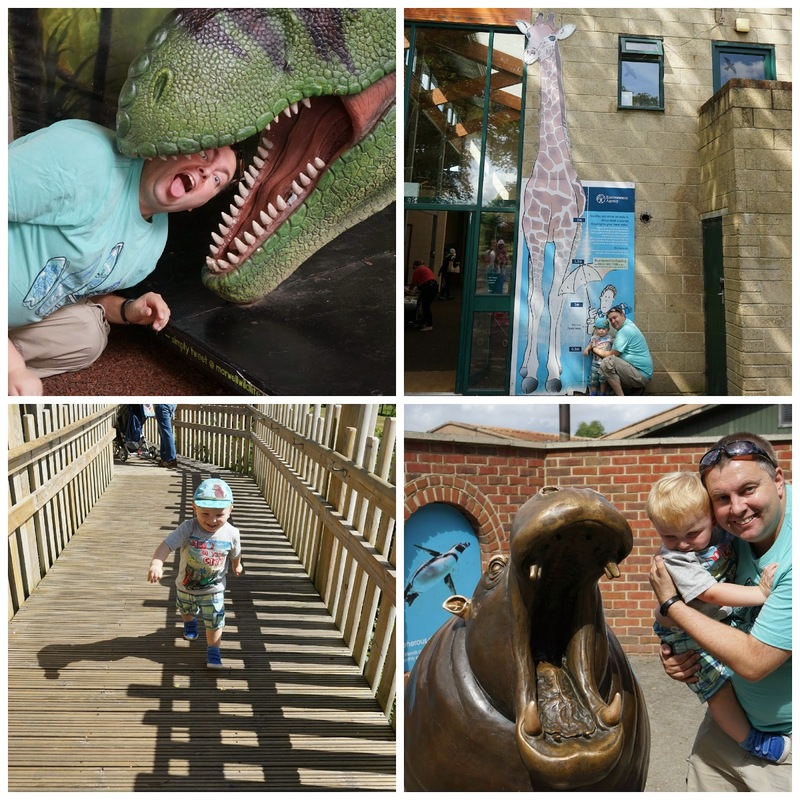 Marwell is running a special "Rise of the Dinosaurs" event throughout the Summer and there are lots of animatronic dinosaurs scattered around the park. Some of them move and growl, some of them even spray water at pesky children (and dads!) who stand too close! Onto the giraffes and easily my favourite animal in the park. This is obviously one of the most popular attractions in the park because this was the only time it seemed crowded and we had to be a bit patient about getting to the front of the viewing platform. Elliot was very intrigued by the giraffes but didn't like to get too close as they are much much bigger than he is! 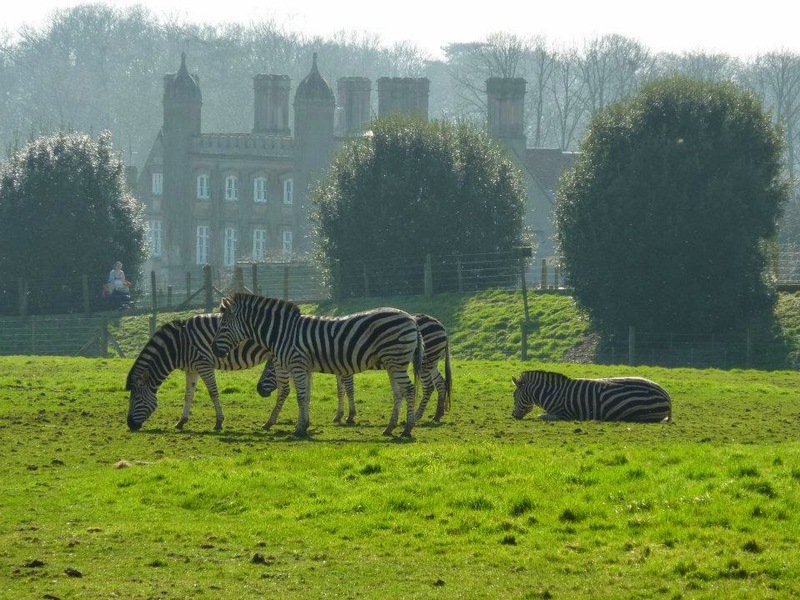 Marwell's African Valley also features zebra, waterbuck and ostrich and it's lovely to see them roaming together in their 20 acre home. There are less then 2000 Grevy's zebra living in the wild and Marwell undertakes lots of conservation projects to help this endangered species. After a quick visit to see the meercats, our tummies were beginning to rumble so we decided to head towards the lawn by Marwell Hall and enjoy our picnic. The boys had great fun playing football while us girls enjoyed the sunshine! After lunch we stopped to say hello to the baby meercats (less than 3 weeks old and very cute!) 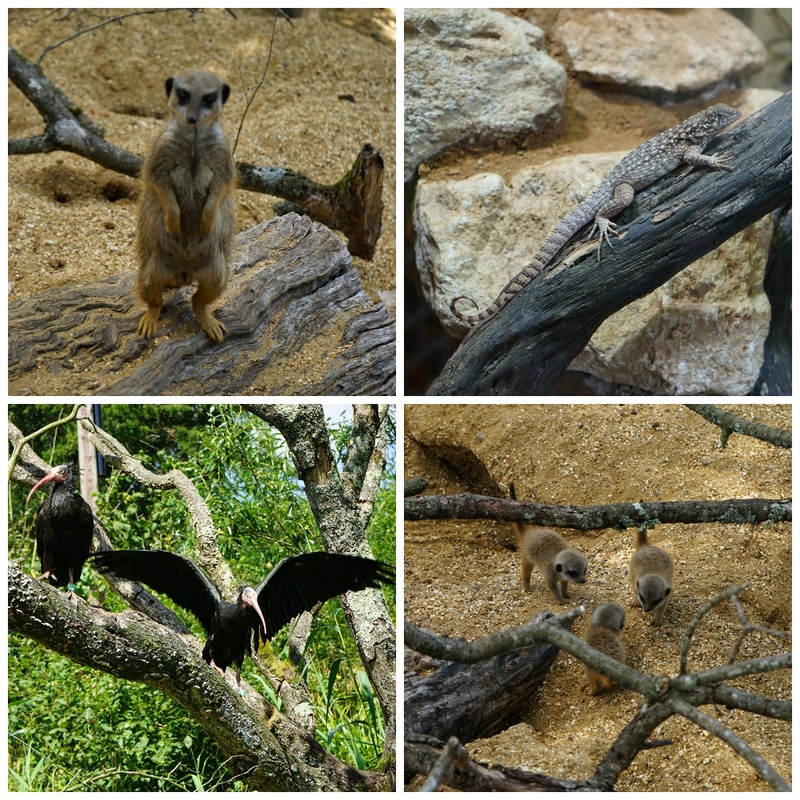 and explored the rest of the park, seeing animals such as the red panda, Wallabies, anteaters, pygmy hippos, rhino, gazelles, lots of weird and wonderful birds in the walkthrough aviary, Siamang gibbons, otters and more dinosaurs! 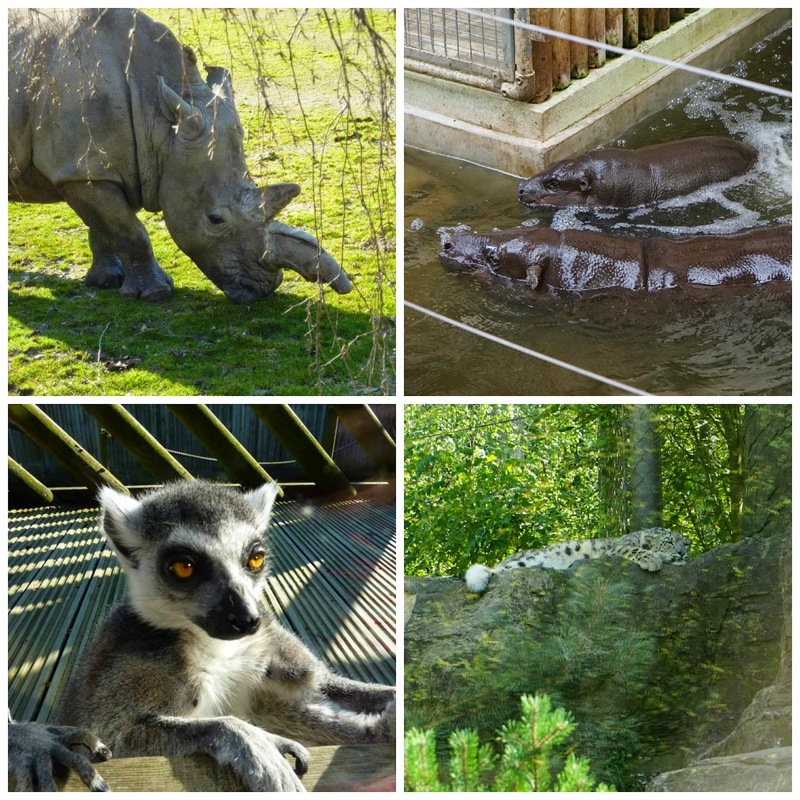 Marwell is home to over 170 exotic and endangered species so there really is so much to see. Marwell also have tigers but in our haste to get to our picnic spot we marched right past them, doh! Pre-book your tickets and avoid the queue! You can book tickets online right up to the day you visit and it saves the lengthy queues if you are planning to arrive when the park opens. 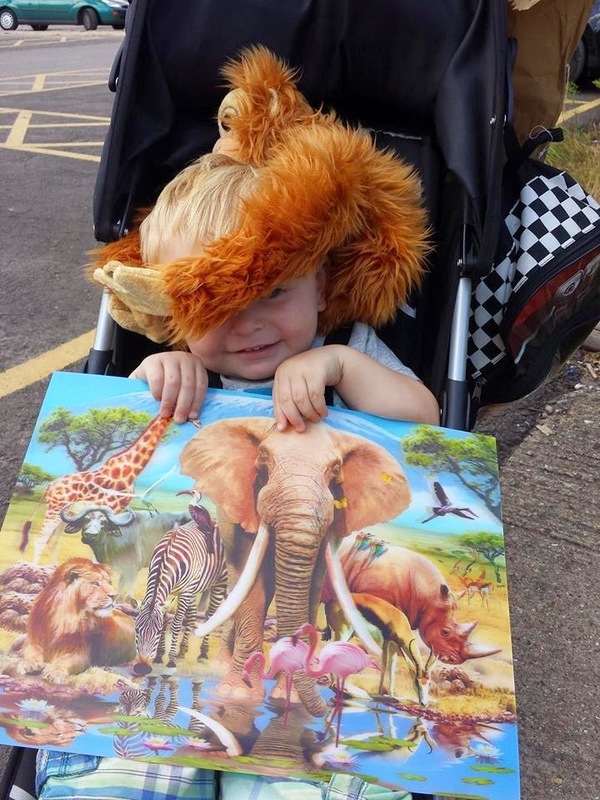 The park is rather large and little legs may struggle towards the end of the day but Marwell offer a free land train which has several different stops scattered around the park. They also have a rail train which is £2.50 per person but takes you on a lovely 15 minute ride around the park. If you want to do things a bit differently and avoid the crowds, explore the park backwards! Allow plenty of time. There are so many animals to see and more than one play area to explore that you really need a whole day here! Some of the big cats may be asleep in the middle of the day so its always worth popping back for a second look to see if they're out and about. We came back to see the penguins at 4pm and we were the only ones there, plus they'd all been fed so were all out in the water.